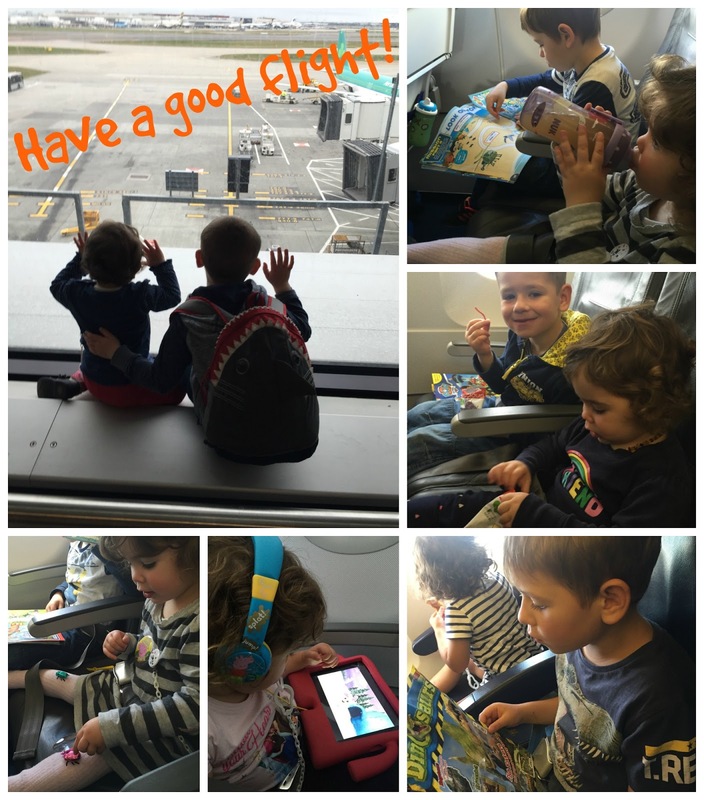 My Kids have been going on lots of plane rides since they where both 7 weeks old and are defiantly what is called a frequent flyer but that doesn’t mean i don’t struggle and hope it’s over as fast as it can be when boarding a plane! Now our usual trip to Germany normally takes around 1.5hrs so it’s quite short and over the last few years I think I mastered a pretty good working routine when it comes to flying with 2 kids. 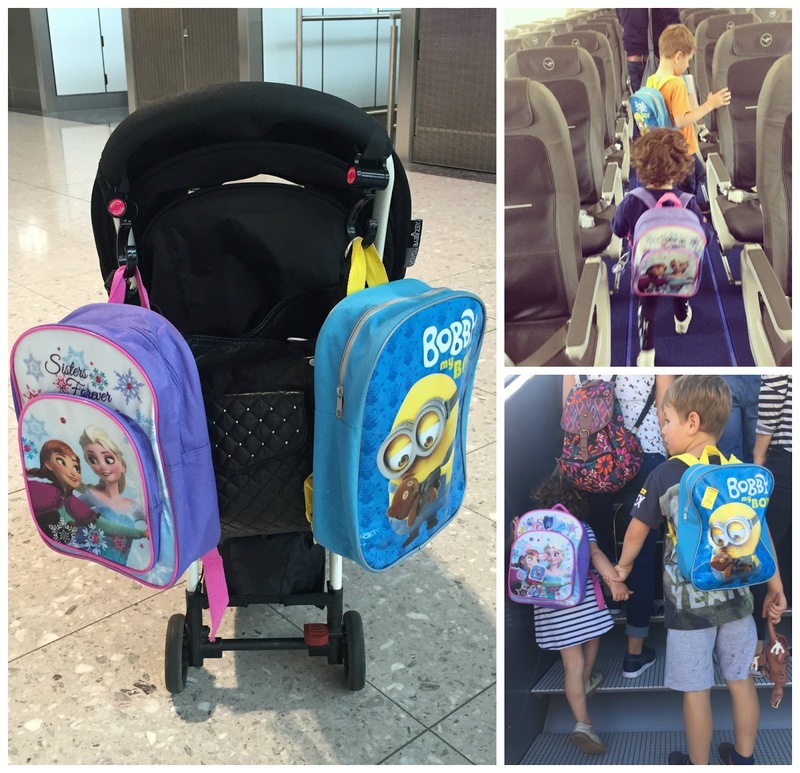 We are off on Holiday this week to Majorca which takes 2.2hrs so I thought I share with you my flying essentials when it comes to travelling with a toddler and a 6 year old! Before we are heading off to the airport I let both the kids pack their little backpacks with 3 small things to play with on the plane to keep them occupied. Finn & Molly-May love to each have their own bag to bring on the plane and it helps me not having to carry around their toys for them! Whilst I pack my backpack full with the usual nappies (always pack 2-3 more in case of delays), wipes, spare clothes for both the kids and a spare top for myself (lets just say I learnt from my mistakes) 2 zip up hoodies to wear on the plane in case they get chilly and a lightweight blanket (comes in handy when one of the kids decided to have a nap especially when you have very early/late flights) which can be used as a pillow as well. 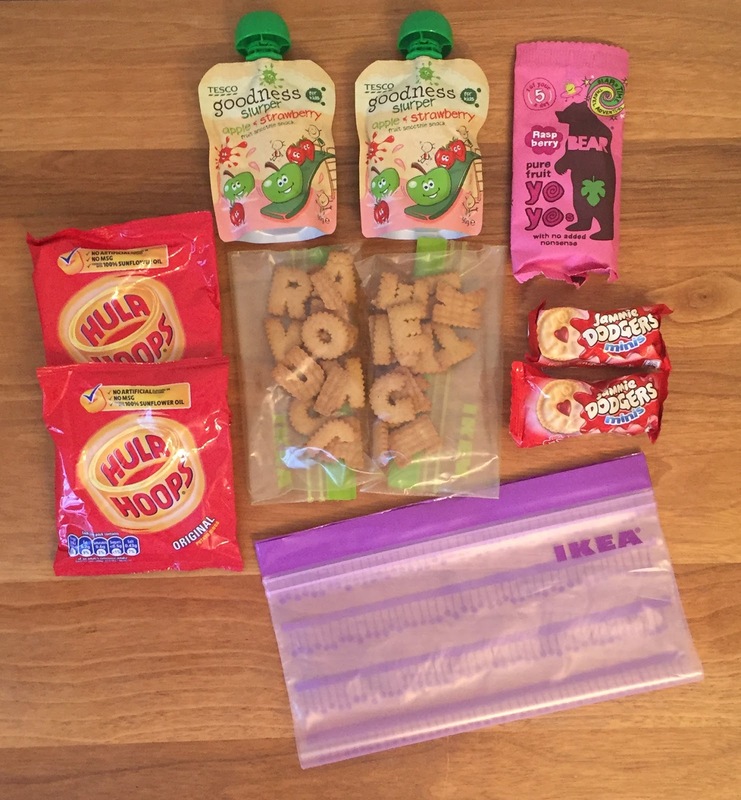 I also pack a Snack Bag which is filled with mainly fruity snacks and a few little treats but I try to avoid anything too sweet or chocolate, never a good idea to sugar up your children when you board a plane! We love the huge snack range from Kiddylicous which is a perfect plane snack (not pictured below because the kids decided to pinch them before I took the picture)! I always use little sandwich bags for the loose biscuits so they can be resealed when they don’t finish them. (for this journey I opted for Letter Biscuits because Finn loves to tell me all the letter he knows and MM always ask me what letter it is and I make up things like R for Row Row Row your Boat!) I pack all the snacks in a large sandwich bag which doubles up as a bin when the snacks are gone! Another important item in my backpack has to be some special plane presents which I wrap up and the kids can open one each every hour spend on the plane. Now this could be anything from little Poundshop toys to a colouring in book, sticker book, little matchbox cars, blind bags etc! Just not Lego sets that is never a good idea on a plane believe me I tested it! For our journey to Spain I bought Finn a Usborne Pirate Activity Book (after all we are heading to a place called Pirate Village) and a pack of Mini Lego Figures (there are a bit of a hassle tbh once again its just too many little pieces that can be lost). 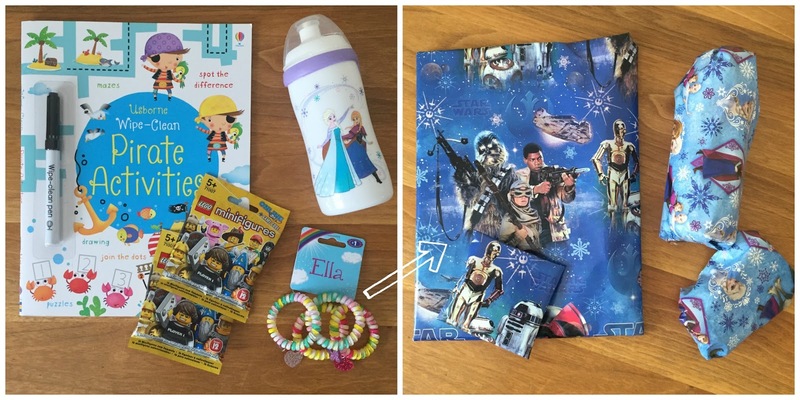 For Molly-May I found some 1£ hairbands which I thought would be cute armbands for her as well as a new NUK bottle (with Anna & Elsa from Frozen of course!!). 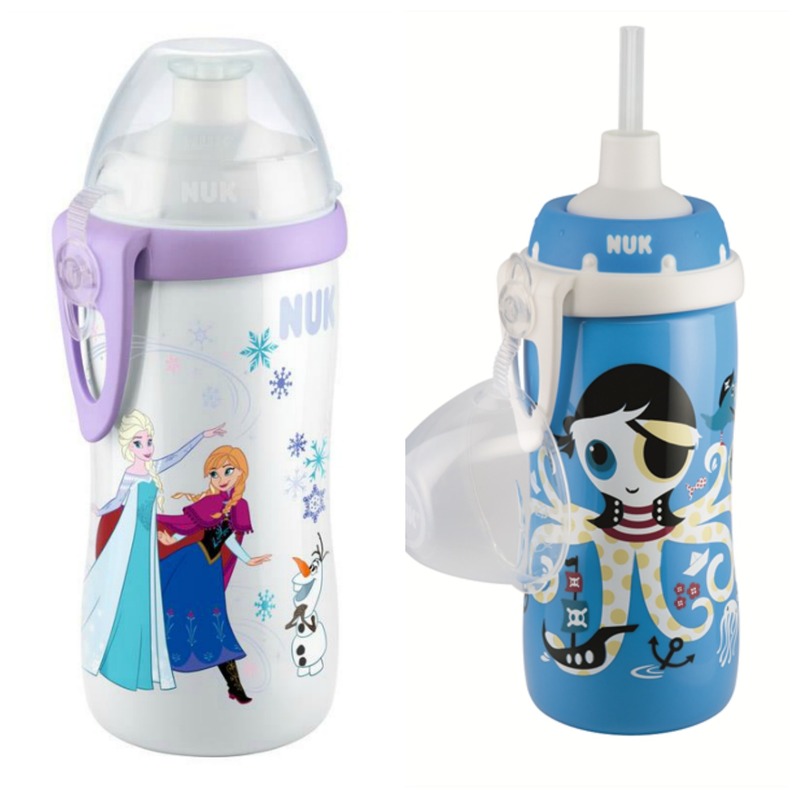 Once we arrived at the airport, checked in our hold luggage and gone through security its time to head to the shop to get some drinks to fill up the children’s drink bottles some might think its another thing to carry around with you but I find our NUK cups are great, both the kids drinking on the plane so I don’t have to faff around with cartons, straws and spillage on the seat or even worse on the kids or your own clothes (always pack spare clothes!!) I also pick up some sandwiches and little nibbles (nuts, raisins, fruit bars etc) for the children and myself to eat on the plane. 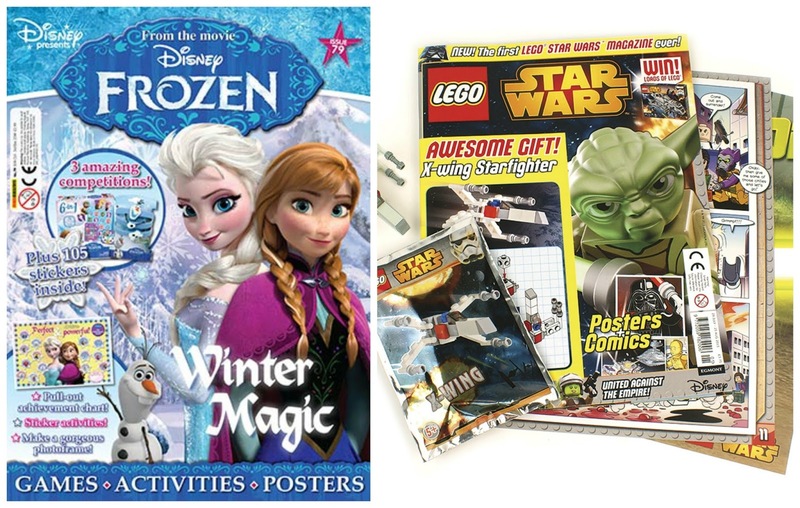 Then the fun bit starts where we head to WHSmiths and the kids can choose one magazine or a little book each. Finn is into Star Wars, Dinosaurs and Octonauts right now so he has always got plenty of choice in the magazine isle. Molly-May loves Frozen and Peppa Pig but sometimes I can convince her to get a little book instead of a magazine because with her 2.5 years she is mainly interested in the toys that come with the magazine and not so much in the stories or games inside them. Although she loves stickers so that’s a good thing! Once we boarded the plane and a ready for take off I make sure the kids have some snacks and a drink in hand so their ears won’t pop and they are occupied with eating until we are up in the sky. Especially with Molly-May who isn’t too keen on keeping her seat belt on for a very long time. Now another thing which I haven’t mentioned above when going through my list of things that I pack into my backpack/hand luggage are headphones and a tablet which are both a lifesaver when it comes to that point in the journey when they don’t want to play, read or drink/eat anymore and just had enough. Kids BBC iPlayer has saved my bacon many times with me being able to download their favourite episodes from Andy’s Dinosaur Adventures to Topsy and Tim there is loads to choose from. 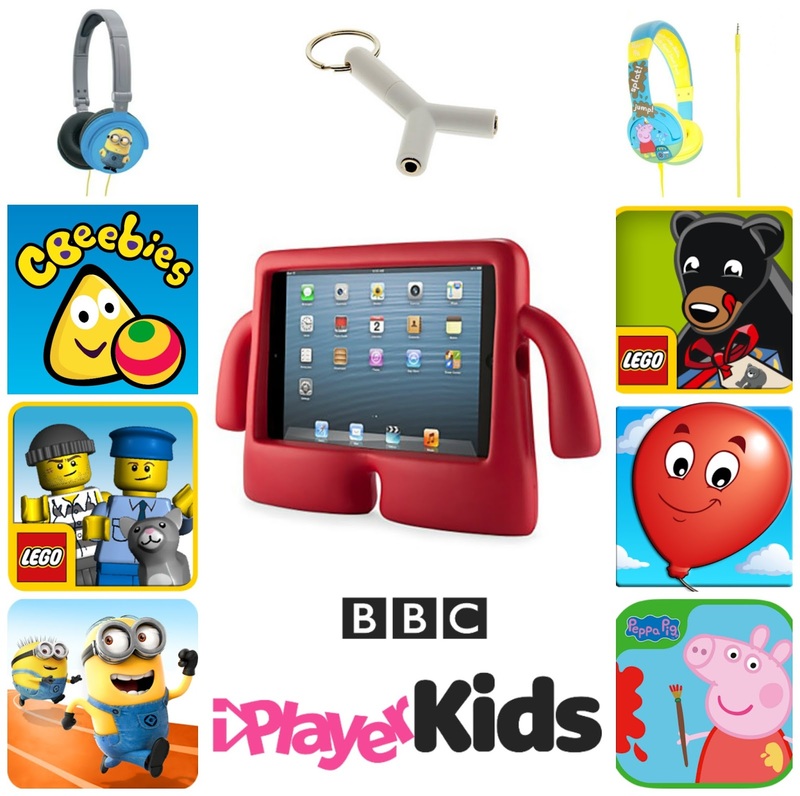 I uploaded the CBebbies App, Lego Juniors Quest, Minion Rush, Peppa’s Paintbox, Lego Ice-cream & Animals as well as Balloon Pop (those are just a few examples what the kids currently like to play on their tablet). I also recently purchased a splitter which is a 2 headphone connections so both the kids can watch something on the iPad together lets see how that works! Now this isn’t really an essential when it comes to hand luggage but I thought I share it with you anyway! If you have read my previous posts regarding holidays and car seats you might know that I am taking the Joie Elevate and the seriously small folded BubbleBum Booster Seat for the kids with us. But I am a bit of a worrier when it comes to hold luggage after all my OH works at the airport so I know the gentle approach of the workers whilst handling carseats and buggies on the bag belt so I ALWAYS use a buggy or in this case a carseat bag. 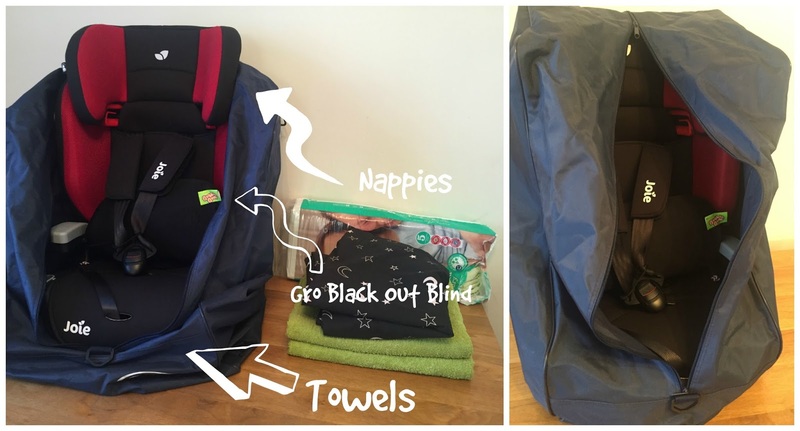 All the carseat bags on the market are created for Stage 0/1/2 bulky seats so that gives me plenty of empty space in the bag which i use to bring along nappies (yes I could buy them abroad but I don’t like to pay silly prices and a different brand then the one i know is ok for my eczema prone daughter) towels and a Gro Blackout Blind (after reading the hotel reviews I decided to purchase one 2. hand. I hope some of the info i wrote about was informative and helpful for your next flight with your little ones to ensure that you have a smooth journey! You can also read another travel inspired post on my Top 10 Holiday Travel Products.